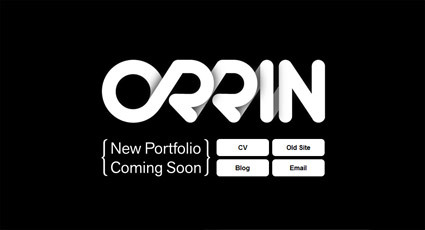 So whilst I have actually been doing Uni work I have also been preparing my new and much improved Portfolio. I’ve had my old Flash one for over 2 years now, and I haven’t changed it in the slightest, simply because I’ve been too busy with everything else. Stuff like a year of producing web and video content for Absolute Radio and doing some pretty cool stuff in my final year. Oh, and I jazzed up my branding somewhat. I’ve kept it as one fluid movement throughout the type but made it bolder and better I feel.